Schneider Electric, the global specialist in energy management and automation, innovates connected technologies that reshape industries, transform cities and enrich lives for its customers. 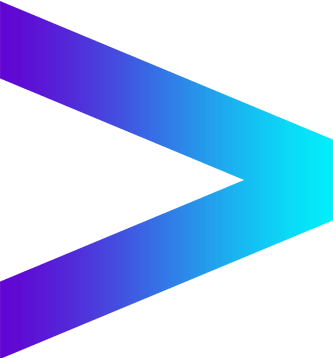 Together, Accenture and Schneider Electric partnered to create the Digital Services Factory to accelerate digital innovation and speed to market. Combining real-time analytics with connected technologies and solutions on an Internet of Things platform, Schneider Electric has smart and responsive products, solutions and services. With the implementation of the Digital Services Factory, Accenture helps Schneider Electric reduce the creation and launch time of new digital services by 80 percent. Analytics-based insights are helping Schneider Electric to be more responsive to—or even anticipate—customer needs. New smart digital services, such as predictive maintenance, asset monitoring, and energy optimization help customer operations become more proactive and efficient. Delivery of electricity has not changed for more than a century. However, digitization over the last 10 years has provided a unique opportunity to rethink the way the industry operates and how Schneider Electric can better serve their customers. Customers have rising service expectations, much like digitally-empowered consumers. They increasingly seek seamless access to the latest digital capabilities, as well as relevant and tailored industry expertise. To stay ahead of these expectations, Schneider Electric wanted to reinvent the customer experience with new digital services. To achieve these goals, Schneider Electric is collaborating with Accenture over a five-year period to build and accelerate new connected services and offerings throughout the entire company. Schneider Electric and Accenture set up a Digital Services Factory that speeds development of new solutions and services. Accenture also contributed elements to Schneider Electric's open, interoperable, IoT-enabled system architecture and platform, EcoStruxure™. EcoStruxure delivers enhanced value around safety, reliability, efficiency, sustainability, and connectivity. It leverages advancements in IoT, mobility, sensing, cloud, analytics and cybersecurity to deliver Innovation at Every Level—from Connected Products to Edge Control to Apps, Analytics & Services. EcoStruxure has been deployed in 450,000+ installations, with the support of 9,000 system integrators, connecting over 1 billion devices. Schneider Electric is rapidly building and scaling new services encompassing asset registration, asset lifecycle management, asset performance management and operations management. With services such as predictive maintenance, asset monitoring, and energy optimization, Schneider Electric and its customer can gain real-time visibility into their equipment’s system performance, maintenance, and services requirements using mobile apps and real-time dashboards. Data-driven analytics can proactively alert customers to issues or potential failures, fundamentally improving the ability to service critical equipment and mitigate the risk of outages. Today, Schneider Electric is accelerating into the New with a portfolio of innovative, new digital services and subscription-based services that help to build lasting customer relationships. By selling smart services, Schneider Electric can help solve their customer’s pain points by digitizing their future, ensuring Life Is On. Delivering smart services like IoT, analytics and apps to ensure critical functions keep running. Placing dairy at the forefront of the 4th industrial revolution through IoT, apps, analytics and automation to optimize plant performance and increase productivity. Powering an aquarium that replicates seven climates under one roof through IoT, analytics and apps so thousands of animals feel at home. Schneider Electric is the global specialist in energy management and automation. With revenues of €25 billion in FY2016, Schneider Electric's 144,000 employees serve customers in over 100 countries, helping them to manage their energy and process in way that are safe, reliable, efficient and sustainable. From the simplest of switches to complex operational systems, Schneider Electric's technology, software and services improve the way their customers manage and automate their operations. Schneider Electric's connected technologies reshape industries, transform cities and enrich lives. For more information, please visit Schneider Electric. Digital technologies drive growth. Few are leveraging investments to realize cost saving efficiencies and new business growth. Our Industry X.0 group brings innovation to the manufacturing lifecycle.